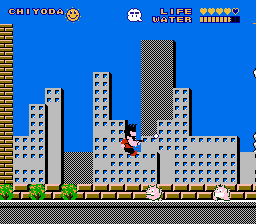 Tokoro San no Mamoru mo Semeru mo is an action platformer game for the Nintendo Entertainment System. 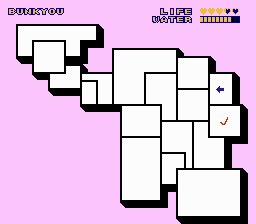 This is a 100% English translation of Tokoro San no Mamoru mo Semeru mo for the Famicom (NES). 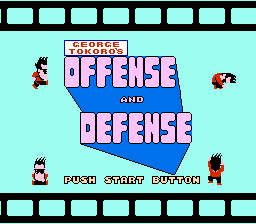 This translation renames the game to George Tokoro’s Offense and Defense. 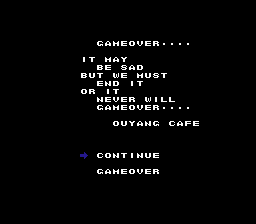 The title screen, the ending, and the game over screen have all been translated, as well as several miscellaneous graphics.